I am doing web programming in PHP since 2010 and love to learn different things in PHP. So far I have explored Laravel, Yii, Zend, Cake php and Codigniter frameworks. I also created own MVC framework. Recently(mid 2013) started Python (for just about anything). Currently learning Micro service Architect with Yii2 and React (Not my thing, but looks interesting). Like to work with APIs. Recently created one SDK for Kayako in Python. If talked about my experiences with APIs, So far I got chance to explore Facebook Graph API, Facebook FBML, Twilio, Yahoo Pipes, Google Maps and Google TTs etc. Used database libraries like PDO and Doctrine in frameworks in order to achieve data security. I care about performance. It’s a feature. Maybe that’s part of the reason why I like working in Python. Got exposure about proxies and scraping and developed reputation management system. An emoji encoder/parser for Laravel 5. This will encode and decode html to unified and vice versa. In order to handle emojies in database where you care about light weight things, performance and don't want to use blob data type. This repository represents my solutions to algorithmic tasks. All tasks are in Php/Python and trying to achieve best optimal performance, at best possible big O time and space complexity. This app provides wallet functionalities with REST Api. It handles the common tasks of get balance, Pay/Withdrawal, topup/deposit and transfer money to ones account. This app provides user session management for Flask. It handles the common tasks of logging in, logging out, and remembering your users' sessions over extended periods of time. It's a well-known fact (or at least it should be) that everything you push to a public GitHub repository is public. This includes a lot of information other than just source files. Since both Git and GitHub require you to provide an email address, it should be no surprise that this information is public as well. FindGitEmail (catchy title, I know) is a simple script that queries the GitHub API and guesses a given user's email address based on their public activity. The script is a bit of a hack; sorry if your eyes are bleeding. FindGitEmail makes it easy to get in contact with open source developers. Please use it for good, not evil. From last 5 years I am handling release management of Kayako 4 and also playing vital role in enhancing overall Support, which includes explicit guidance to support staff, assisting with escalated client issues and out of the box requirements. My last major release was 4.80. Jumped into the python SDK project and took upfront ownership to revamp it, resolve issues affecting client businesses and delivered added value to Kayako. It was awesome experience to learn new language and achieve something beyond the scope. Contributing in a PHP library for converting HTML to formatted plain text. The Solar energy equipment supplier in Australia. The unified customer service platform that the whole company can use to communicate with their customers. Softobiz Technologies is a leading organization among the IT organizations supplying its products along with the services in the form of Product development and Web-Application development. Ravi is an excellent, conscientious developer who over 5 years contributed enormously to the Kayako Classic platform and product, used by thousands of businesses and millions of people. Along with his small team, he worked with very little supervision and direction. 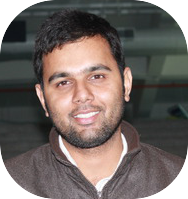 Ravi is a self-starter and can be trusted to make the right calls both for the customer and in terms of engineering.